Adam Livermore is the newest equity partner at Dezan Shira & Associates. Born in London, he has been living in China for the past fourteen years and is proficient in Chinese and Japanese. Adam directly manages Dezan Shira & Associates' Dalian, Qingdao and India offices while leading the team providing integrated payroll processing services to clients across China, Vietnam, India, Hong Kong and Singapore. Adam has a particular specialization in the areas of Human Resources in China, relating to both the legal and administration aspects as well as possessing a comprehensive understanding of the key legal and accounting topics relating to foreign direct investment in China. Before coming to China, Adam worked for nine years in Japan acting as a translator and interpreter. In his final four years there he became deeply involved in commercial real estate finance working at GMAC Commercial Mortgage. His work exposed him to business areas of asset management, property management, distressed loan servicing, commercial loan origination and REIT structuring. Properties under Adam’s management at the time included office buildings, sports centers, distribution centers, supermarkets and mixed-use buildings. His focus was on the maintenance and disposition of these assets for the company. Adam has co-written a book with colleagues in the Dalian office of Dezan Shira & Associates entitled “Human Resources in China” that provides in-depth explanations of the critical aspects that foreign managers need to understand when dealing with human resources issues in the People's Republic of China. 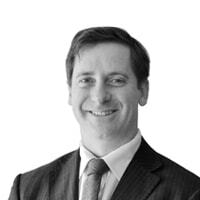 He regularly contributes to the Asia Briefing Series of technical guides as well as providing technical insight to Asia Briefing's business websites. Many of these articles have been syndicated in business publications worldwide. For the past two years, Adam has been acting as Chairman of the International Club of Dalian (ICD), an organization that aims to improve the general living environment for foreigners living in Dalian and to help them integrate into its community. ICD organizes various business, social and charity activities for its members. Adam achieved his degree in Business Studies and Economics from the University of Sheffield. As part of his degree course, he spent an exchange year at the University of Maryland in the United States of America.